M.I.A. uploaded a pic of her New Year’s Eve mixtape Vicki Leekx tracklisting to her Twitter today with the caption: “30/12/2010/ 3.30pm in asia!” We’re not sure if this is the “XXXO” artist’s hint at the exact time we should expect the free download to be released tomorrow, or if she’s just messing with our minds. One thing is for sure, the controversial rapper is still ruminating on the same Internet theme she explored with her most recent album /\/\/\Y/\ — we just hope this doesn’t bring about another fail-worthy digital music video. Jump below for a look at all 19 tracks. 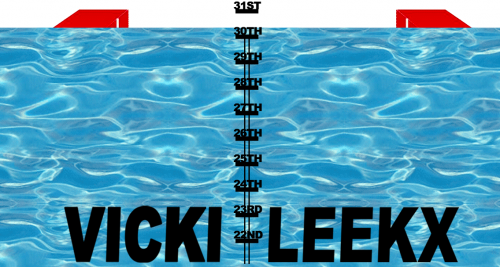 Vicki Leekx will be available for download tomorrow — or as M.I.A.’s site depicts it: when the animated water GIF rises to the “31st” mark. Will you be nabbing M.I.A.’s freebie tomorrow? What track are your ears most excited to hear?